Staining of paraffin embedded human tonsil with Mouse anti Human CD44 (MCA2504). 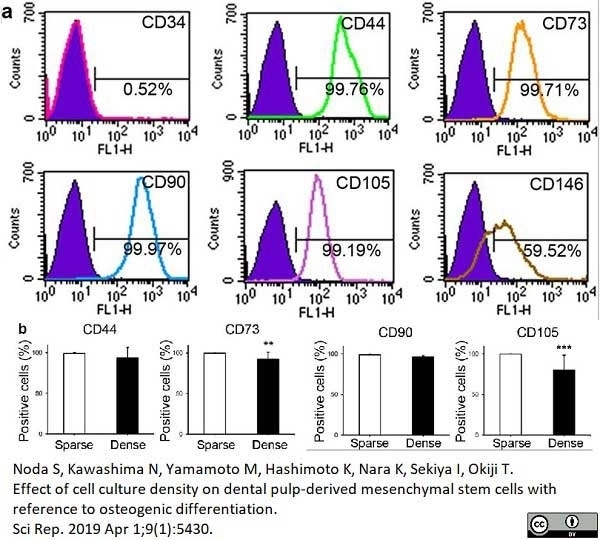 Mouse anti human CD44 antibody, clone Bu52 (MCA2504) used for the evaluation of CD44 expression on dental pulp derived cells by flow cytometry. 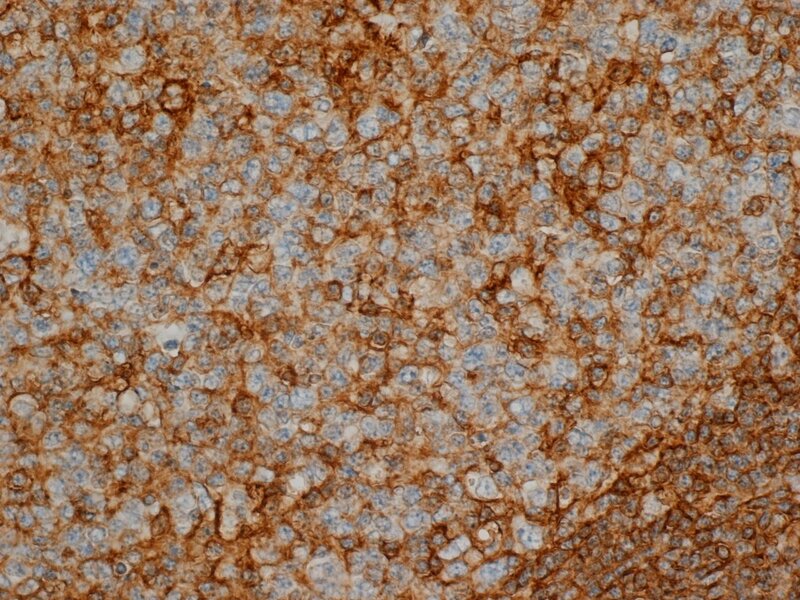 Mouse anti Human CD44 antibody, clone Bu52 recognizes the human CD44 cell surface antigen, a ~100 kDa glycoprotein widely expressed on human leucocytes, white matter of the brain and by some epithelial cells of the intestine and of the breast. Several isoforms of CD44 exist, including the predominant CD44H isoform detected in many normal tissues. Mouse anti Human CD44 antibody, clone Bu52 recognizes an epitope that is common to all CD44 isoforms. CD44 is a receptor for hyaluronic acid (HA) and is involved in cell-cell interactions, cell adhesion and migration. CD44 also participates in a wide variety of cellular functions including lymphocyte activation, recirculation and homing. CD44 expression may be up-regulated upon some carcinomas, and it has been speculated that this may be related to metastatic potential. Takahashi, K. et al. (1996) Keratan sulfate modification of CD44 modulates adhesion to hyaluronate. J Biol Chem. 271 (16): 9490-6. Belitsos, P.C. et al. (1990) Homotypic cell aggregation induced by anti-CD44(Pgp-1) monoclonal antibodies and related to CD44(Pgp-1) expression. J Immunol. 144 (5): 1661-70. Katz, E. et al. (2012) Targeting of Rac GTPases blocks the spread of intact human breast cancer. Hanke-Roos, M. et al. (2017) CD44 mediates the catch-bond activated rolling of HEPG2Iso epithelial cancer cells on hyaluronan. Cell Adh Migr. 11 (5-6): 476-87.